After combing through $1,773,032.54 worth of silver and gold purchases a few interesting trends were uncovered. First, investors love to buy gold and silver at 10:00 am and 4:00 pm, 10:00 remains after the majority of economic data is released, and 4:00pm which is right before the stock market closes. It appears investors jump into trades right after major economic data is released. Apart from timing purchases, the average order value jumps as gold investors jump back into risk-off trades. Finally, the biggest day of the week for metals investors remains Friday followed by Wednesday as the second best day. 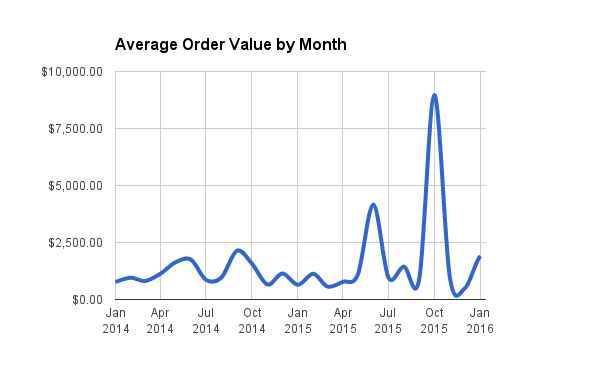 Data from the Marketplace records the order value and when that order happened. It doesn’t include any personal information nor does it include what exactly the investor is purchasing. All the data was then aggregated further for this report to not include any sensitive information from any of the readers. After graphing out this chart, it’s clear there’s been one point of any importance over the past year: October. It’s the same time frame that oil was still crashing, cracks within China’s economy really started to show, and US economic data didn’t inspire any confidence. As investors and traders piled into “risk off” trades, Gold had a remarkable month back in October. 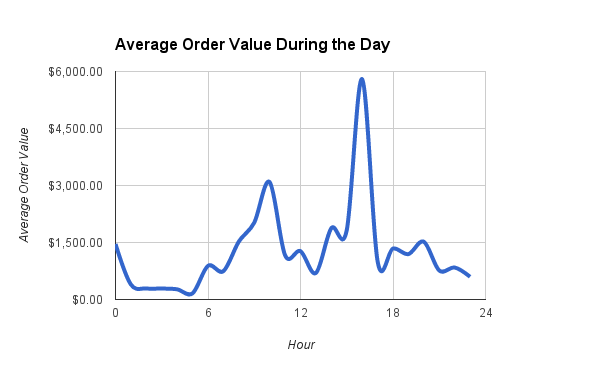 As far as when these purchases are being made during the day, it appears investors pile into these trades at 10 am and then again at 4 pm. Finally, the last chart shows when investors make the major purchases during the week. 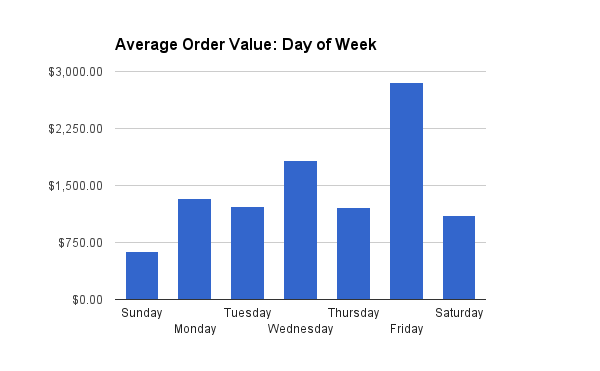 Friday is the most popular day followed by Wednesday. Moving on to macro charts, friends over at Incrementum shows three addtional charts that all gold bulls will love. 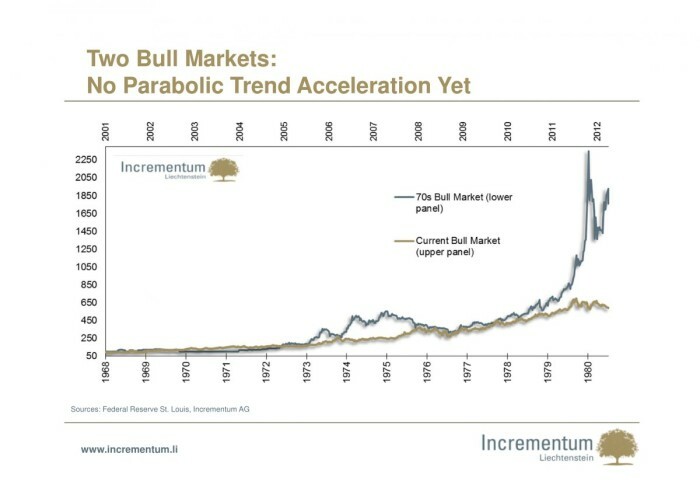 First, based on the gold movement, there hasn’t been a parabolic movement like the jump in 1970-1980’s with the current bull market. 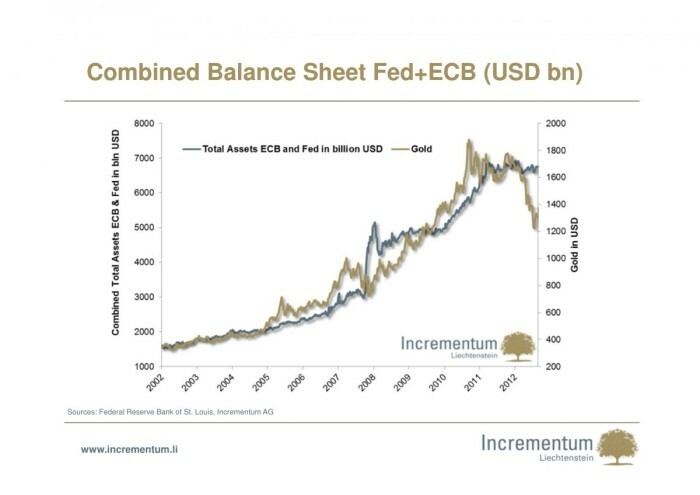 Second, charting out the ECB and the FED shows the correlation between the increase in the balance sheet and the price of gold. 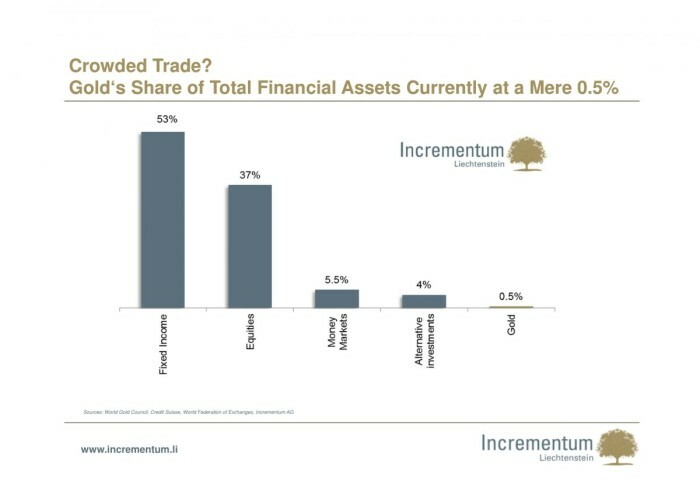 Finally, gold’s share of financial assets remains at a mere 0.5%–any increase in fund managers moving into gold would shift demand for gold.